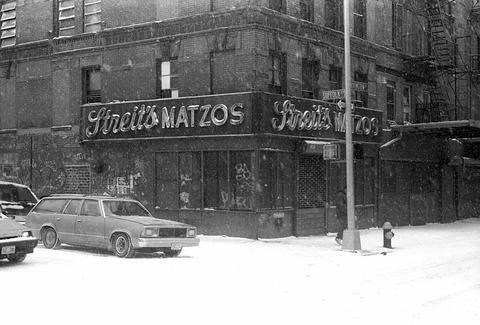 After 90 years of operation on Manhattan’s Lower East Side, Streit’s Matzo Factory has filled its final Passover orders -- the LES institution will shutter its doors this spring, according to Bowery Boogie. The Streit family, which has kept the business on the corner of Suffolk and Rivington since 1925, hopes to find a new space for operations, but chances are that it won’t be in the LES. One member of the Streit family told Bowery Boogie that "it would take a miracle" to keep the factory open in the neighborhood. As for the four red brick tenement buildings occupied by Streit's -- they were sold to an undisclosed developer, because if there's one thing Manhattan needs, it's more doggy spa facilities, or SoulCycle studios, or luxury condos, or whatever.